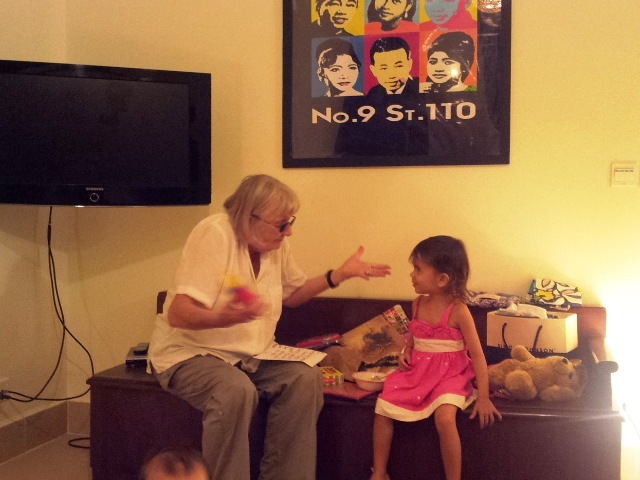 Grace and Angus’ Australian “Yay” ( grandmother ) has been for a whirlwind 3 day stay. 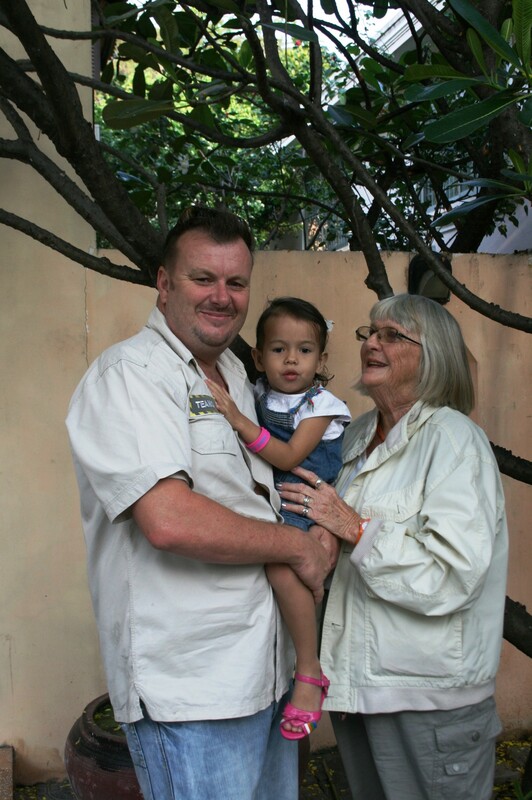 My mum Jan flew in on Saturday night on her way to Laos and Vietnam and we were thrilled to have her as a house guest for her stay. We all went out to the airport to meet her and the kids were asleep on the way out but soon perked up. It was amazing to see how quickly Grace took to mum. Probably because we had been speaking about her arrival for so long. 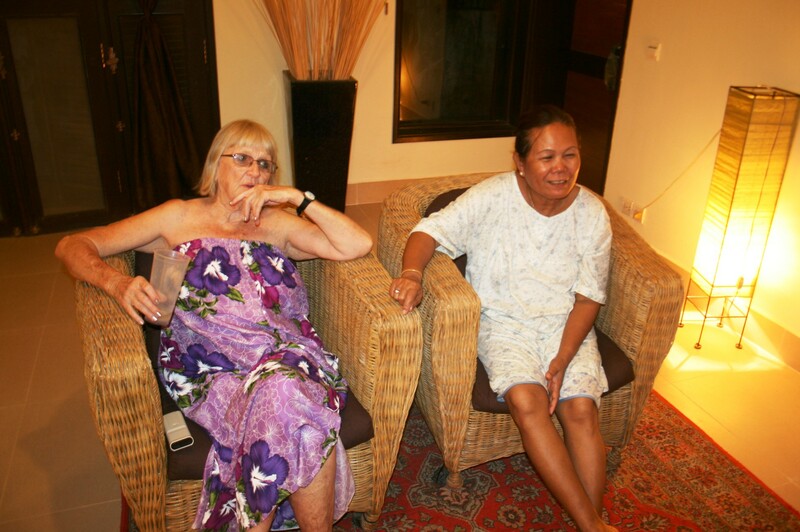 After showering and changing into a sarong ( my mum is the grooviest 80 year old you will ever meet ! ) she soon started dispensing the goodies. For me it was my much carpenters tool bag , photo albums of years gone by, my South American hammock ( a huge win ! ) and other knick knacks.For Grace and Angus all manner of toys from family members and for Leakhana a lovely handbag from Sarah,Bonds Underwear from Larn and some other specials. The few days we had with mum were spent simply relaxing at home and the odd trip to the markets for some custom made clothes etc. Every night we cooked in the kitchen and ate as family with a few fine wines and I took her on a tour of the old and new work facilities which impressed her no end. We had lunch at Metro with the boss and although the visit was short – it was certainly sweet. She is now off on her own to Laos and Vietnam so hopefully she’ll be ok ! Go Janna! Your Mum sounds like a pretty special Lady, Justin! Janna looks a million bucks. Send her my love.